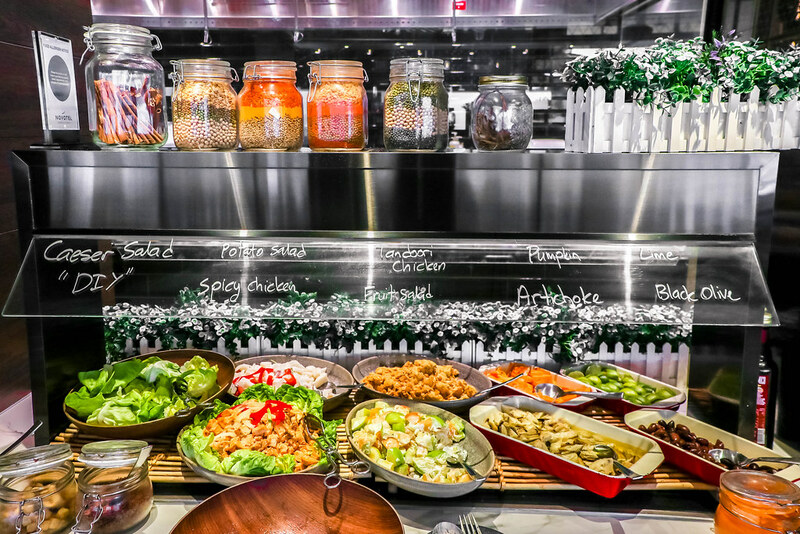 Novotel Singapore on Stevens introduces Food Exchange, an all-day dining buffet restaurant, featuring a tempting fusion of Asian and European delights. The name Food Exchange arises from the idea of a local and global culinary exchange in a ‘market place’ setting, where chefs prepare food in live cooking stations, right in front of its guests. 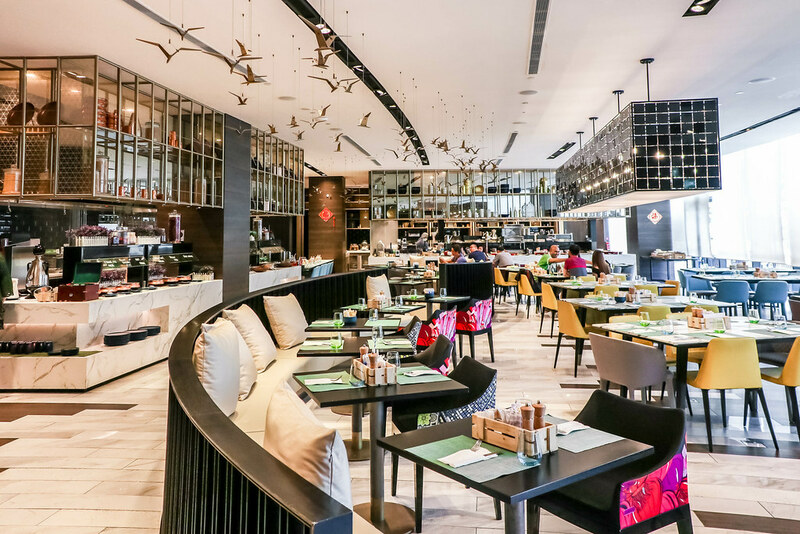 The stylish and contemporary restaurant located on the second floor of Novotel Singapore on Stevens lets in natural light with its full ceiling-to-floor glass windows, revealing the view of an infinity pool, with the lush greenery of the Balmoral estate in the backdrop. 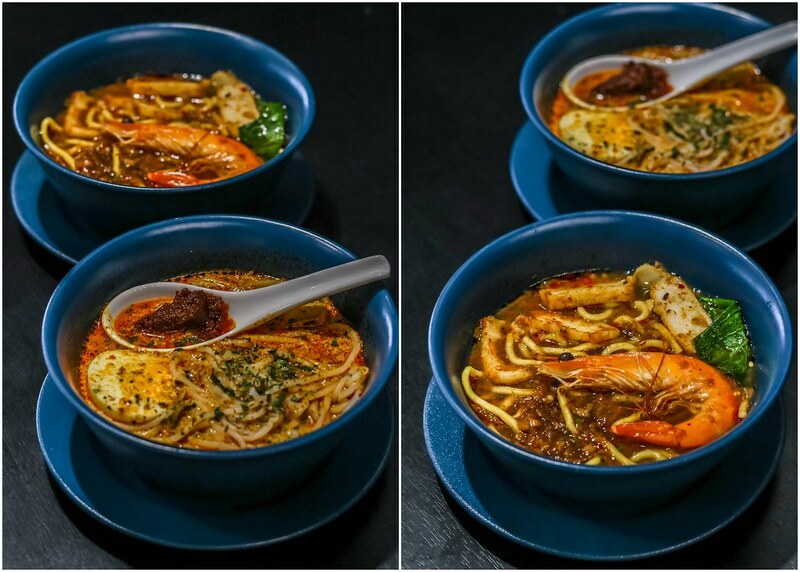 Look forward to signature highlights such as rotational roast meats (beef, lamb, or pork), 18-hour slow-cooked beef cheeks, European cheese and cold cuts, fresh seafood on ice, pasta and risotto, Hokkien mee, as well as, Foie-Gras live station on Sunday brunches. Jayden and I enjoyed the usual Sunday brunch, and found the buffet spread pretty lavish and substantial. We took a look at the Chinese New Year Sunday Brunch Highlights ($98++), and couldn’t wait to share the information with you. The promotion period already started on 2 January 2019, and it will last until 19 February 2019. 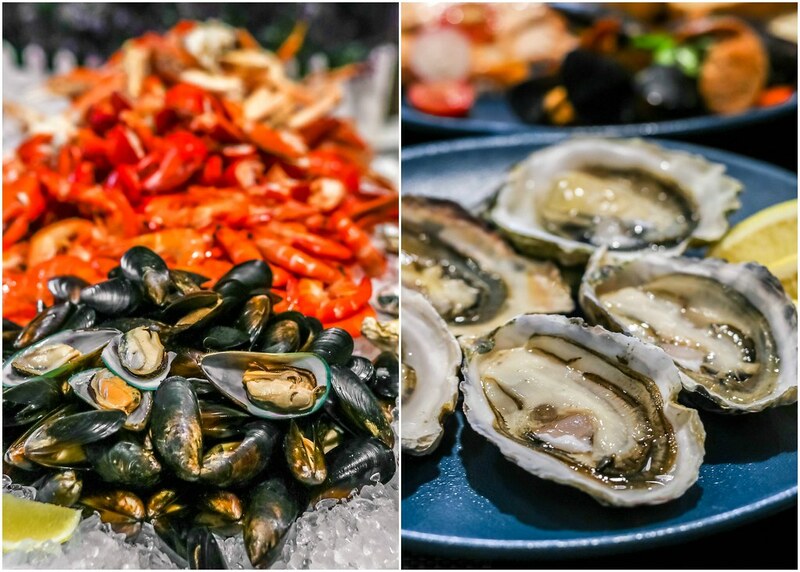 There are freshly shucked oysters, Boston lobster, snow crabs, and succulent prawns. 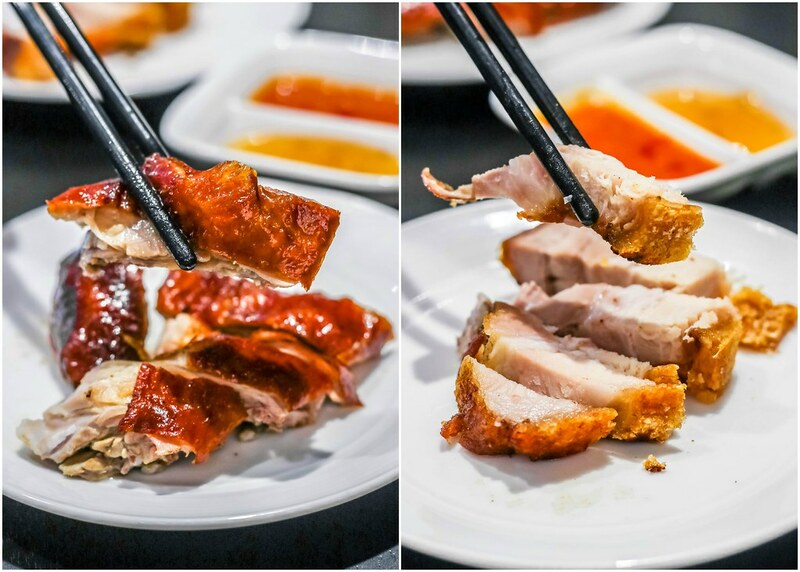 The Cantonese Roast station features roast crackling pork and roast duck while the Japanese counter offers an assortment of sashimi, nigiri and maki. 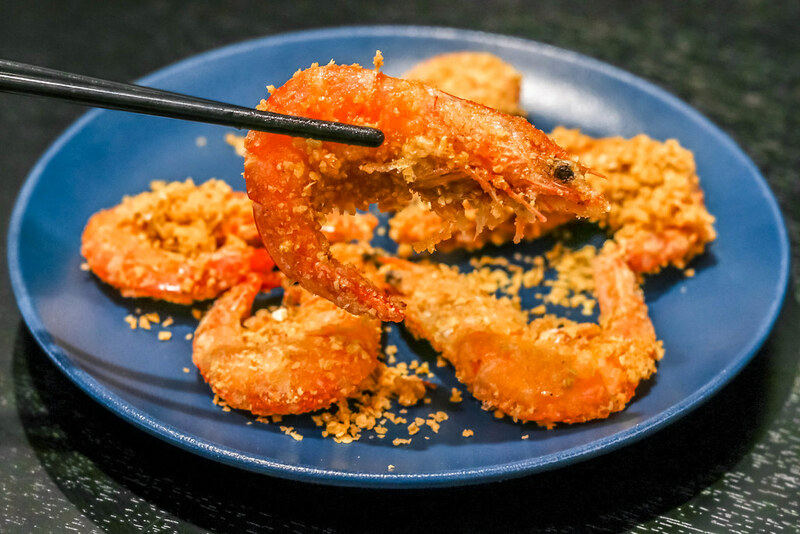 The Asian station includes grilled prawns with garlic, chilli crab with mantou, wok-tossed prawns with salted egg sauce, steamed fish with ginger & Chinese wine, and stir-fried nai bai in superior sauce. The Western carving station boasts roast beef prime ribs, salt-baked barramundi, salmon with Beurre Blanc, and steamed mussels with chorizo in white wine sauce. There are other variety food and desserts served, so you really have to go hungry. 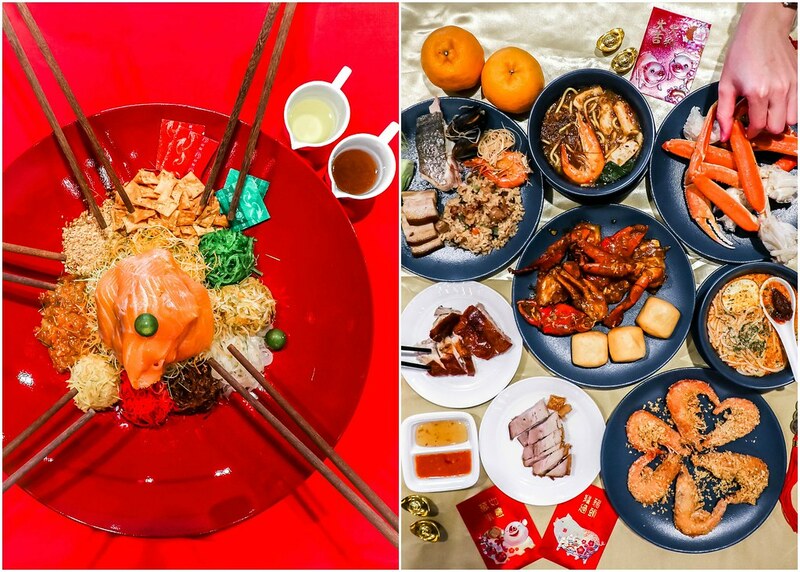 During Chinese New Year, your meal will not be complete without Yu Sheng (Lou Hei). This is available for a la carte orders at Food Exchange. We had a blast tossing the ingredients high in the air with countless auspicious wishes for the upcoming year. 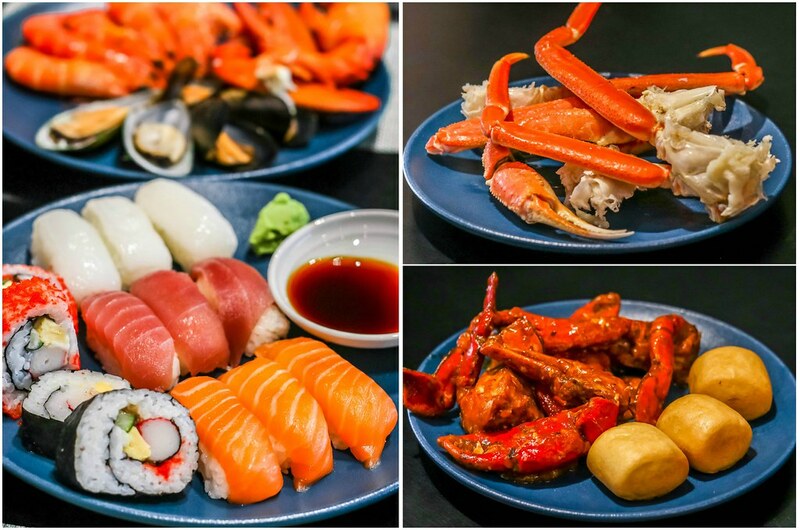 For a bigger bang, top up $58++ to upgrade your Salmon Yu Sheng to an Abalone Yu Sheng. 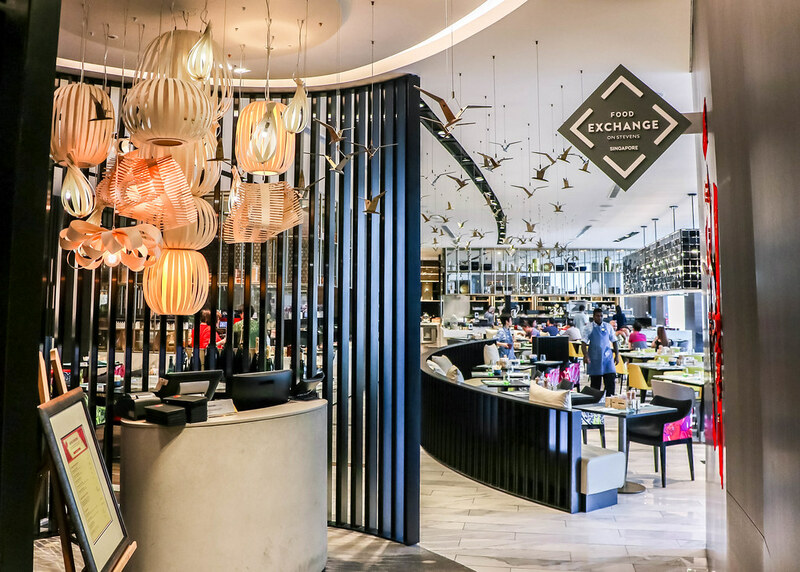 You get to enjoy a 50% discount off your Salmon Yu Sheng when you dine-in at Food Exchange. Food Exchange is an ideal place for family reunions and gatherings for friends. There is something for everyone here.